Presidents' Day weekend is only three weeks away but there's still plenty of time for travelers to score excellent deals on winter getaways to places like New York City, Washington, D.C., Seattle and the Dominican Republic. 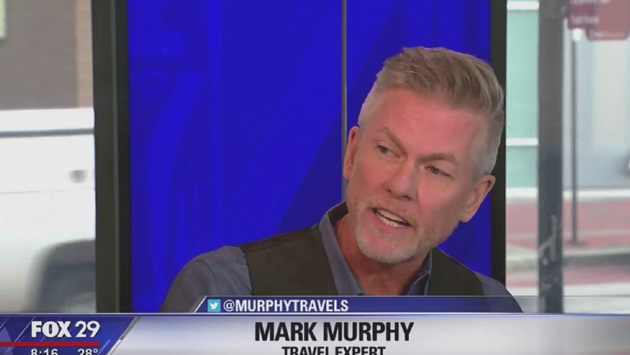 On Monday, travAlliancemedia president and CEO, Mark Murphy appeared on Fox 29 Philadelphia to share some of his favorite value winter destinations and Presidents' Day travel ideas. "There's a property that just did a $35 million renovation called Sanctuary Cap Cana. It's for adults only and it's a great value overall," he said. "What's nice about that property is that it's all-inclusive, ideal for couples, it's got towers and villas. It's fantastic." Murphy recommends budget-conscious families with young children consider taking advantage of Amtrak's service between the Big Apple and the nation's capital next month. "If you've got kids, it's really expensive to travel over a long holiday weekend so why not take Amtrak to New York? Over those holiday weekends, especially when it's colder, you don't have a lot of business travelers and tourists so the rates come down," he added. "You can stay in Midtown right down the street from Times Square at the Hyatt Regency for under $200 a night." "You can get out and enjoy the museums so it's a great experience for your kids." Travelers can also capitalize on phenomenal cruise deals right now. "Fly down to Mobile, Alabama. The airfare is relatively cheap, a few hundred dollars per person. And then it's $220 starting price on a Carnival cruise for four nights," said Murphy.